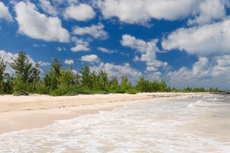 Take a beach break tour to enjoy a leisurely day of sand and sun. 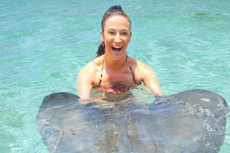 Sit back and enjoy Cozumel's beaches and relaxed scenery, or participate in one of the many aquatic activities offered. What's really beneath Cozumel's waters? You may encounter some of the island's unique vibrant colored fish on a snorkeling adventure. Enjoy excellent cuisine, tropical cocktails, and other fabulous amenities as you relax in the comfort and privacy of a first-class resort. 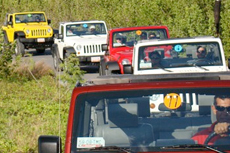 A Jeep tour is the ultimate way to see Cozumel. Venture off into jungles and isolated terrain for a day full of fresh air and sun. These remarkable caverns connected by underground waterways are sure to astonish you. 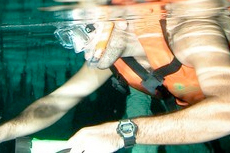 Enjoy breath-taking stalagmites and other incredible forms that will bring a new appreciation to Cozumel's subterranean world. Take to the seas on a private catamaran charter and experience the bliss of Cozumel's scenic coastline and crystal blue waters. To add more adventure to your day, choose an excursion that offers snorkeling and other activities as well! 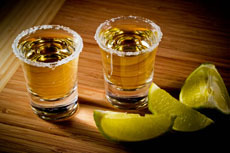 Curious about the process that goes into making tequila? 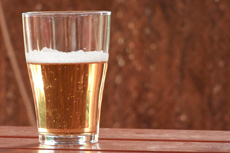 Have equal or greater interest in drinking it? Taste why it's one of Mexico's most popular drinks! Experience the ruins of the walled city of Tulum, which rise above the Caribbean Sea. Explore the archeological monuments of this ceremonial center, which were left as a reminder of this ancient Mayan culture. With offerings geared toward certified or beginner scuba divers, this excursion allows you to view underwater gardens of coral and visit with schools of unique marine life while venturing off in Cozumel's waters. 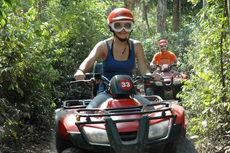 Off-road on an ATV adventure across bumpy terrain and through sandy beaches to Cozumel's coastline for the best views of Mexico. Cozumel welcomes more than one million cruise passengers annually, with an array of offerings from the avid shopper to the sports enthusiast. Whether it's finding great deals on jewelry and Mexican handcrafts, or delving into the rich island history, there is something for everyone. 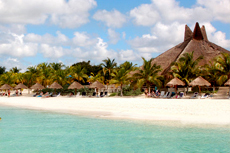 The Nachi Cocom Beach Club & Water Sports Center is a great place to relax during your time in Cozumel. Space for this unique Nachi Cocom Beach Club is limited to 100 guests per day, making it the most exclusive beach on the island. Become completely immersed in Latino culture as you learn the fiery dance, Salsa, in Cozumel! 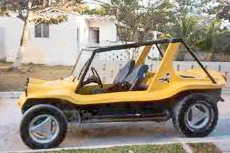 Roar through the jungle in an all-terrain dune buggy to get your adrenaline pumping and enjoy scenic views of Cozumel. Mexican cuisine is colorful and delicious. 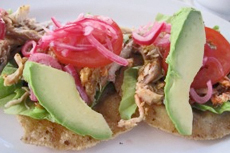 Satisfy your palette on a culinary tour to hot spots and hidden gems on the island of Cozumel. 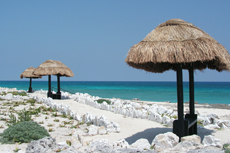 Prefer to stay dry during your day in Cozumel? 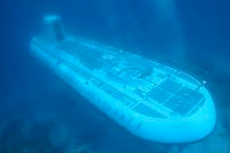 A submarine tour provides visitors with a glimpse of Cozumel’s reefs and tropical marine line. 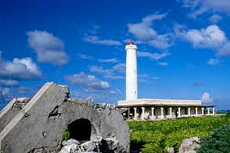 From its world famous coral reefs and wild jungle to the multitude of museums, ruins, and other noteworthy buildings, there is much to see on a guided tour of beautiful Cozumel Island. This boat-and-beach shore excursion is the perfect mix for those who want a little bit of everything under the sun. Board a bus for a night of dinner and bar hopping as you enjoy some of Cozumel’s most famous spots for tasty local brews. 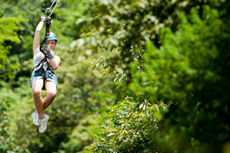 Glide through Cozumel’s jungle and ruins on an exhilarating zipline adventure among the island’s natural settings and wildlife. Perfect for family and friends, this interactive clue-based adventure game is a unique way to explore the nooks and crannies of Cozumel. San Miguel: Cozumel's one and only "big" city (some refer to it as a large town), San Miguel owes its economic well-being to the growth of the cruise industry, which has transformed this once-sleepy fishing village into a tourist outpost, crammed with stores selling every imaginable souvenir. While many restaurants offer Mexican fare, others favor American tastes, with several U.S. fast-food chains represented, along with such notable names as the Hard Rock Cafe. Most shops stay open until 5:30 or 6 p.m. -- or whenever the last cruise ship departs. San Miguel revolves around its two landmarks: the "zocalo" (town square), known as Plaza del Sol, and the downtown pier. Easily the most distinctive and fabulous store on Cozumel is Los Cinco Soles (we've easily lost a whole day there), which sells gorgeous Mexican crafts (plenty of the unusual along with more common items), silver jewelry and fashions. There's a tequila bar, and the shop wraps around the wonderful Pancho's Backyard restaurant. Also of interest to shoppers: Adjacent to the Plaza del Sol is the modern Villa Mar Complex, an air-conditioned mall with several notable silver shops. (Be sure to look for the 925 stamp, indicating quality silver.) Among the best buys in the mall are hand-woven hammocks, shell jewelry, and local handicrafts. You'll also find many duty-free items, such as perfumes and watches. Scuba Diving and Snorkeling: A long with Grand Cayman, Roatan and Belize, Cozumel offers the best diving and snorkeling sites in the Caribbean. In some areas, visibility reaches 250 feet, and prime sites for "divehards" include Palancar Reef (part of the nearly 700-mile-long Mesoamerican Barrier Reef, the second-longest reef system in the world, behind Australia's Great Barrier Reef), Chankanaab Caves and La Ceiba Reef. At La Ceiba, the underwater universe contains a sunken airplane that came to rest after being blown up for a Mexican disaster movie. 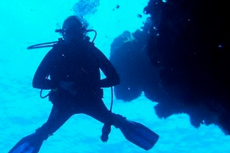 A word to the wise: Keep an eye out for dive operators who post C.A.D.O. 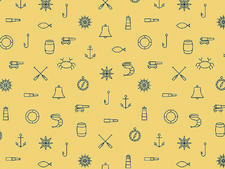 stickers in their windows; these are considered the island's most reputable dive establishments. Operators are located up and down the main road along the waterfront, between the International Pier and San Miguel. Snorkelers can find outfitters in this area, too, or simply drop into any of the multiple beachside bars and restaurants for a beer, tortilla chips and a day of exploring the reef right off shore. We enjoyed refreshing stops for a snorkel (and beers) at Tikila during our walk back and forth between the International Pier and San Miguel. 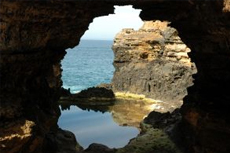 Both are located on the coastal road, and the beach is the "ironshore" kind, typically best for snorkeling, but water shoes are recommended for tender feet. Glass-bottom Boat Tours: Providing a glimpse of the reefs for those who might prefer to stay dry in the comfort of a boat, glass-bottom boat tours also occasionally stop for snorkeling breaks. 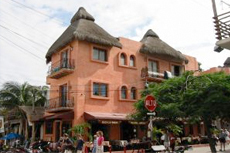 Playa del Carmen is also the jumping-off point for the region's best-known Mayan sites. Try a day trip to the ruins of Chichen Itza, the Yucatan's most renowned, which contains a mix of temples, pyramids and carvings dating to the 7th and 8th centuries. 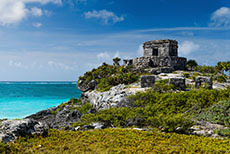 Other Mayan ruins are located at Tulum, situated on the coast 35 miles south of Playa del Carmen. 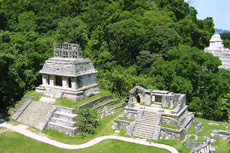 The site features several Mayan temples -- including a stunning temple right on the coastline -- government buildings and a beach below the ruins. Day trips to both Mayan sites can be booked through local tour operators; two of the most reputable tour operators are Intermar Caribe (+52-987-273-5960 or info@imc.travel) and Turismo Aviomar (+52-987-872-5444). 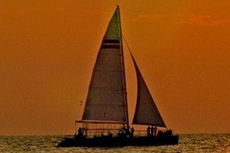 You can also book day trips with Viator.com. Note: Independent travelers should know that an excursion to Chichen Itza spells a long day -- about a three-hour bus ride in each direction; don't forget to factor in the ferry ride from Cozumel. This is one of the times we actually recommend taking this trip as part of your ship's shore excursion program because the logistics are so complicated. The best beaches for swimming, snorkeling or lounging under the sun are on the western side of the island, where the winds are light and waters usually calm. Don't forget plenty of sunscreen, unless you want to be fried a bright shade of red. The surf on the eastern side of the island tends to be much rougher. Best for Water Sports: Chankanaab Park and Reef is terrific for snorkeling, scuba diving, beach bumming and eating. 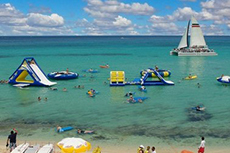 Paradise Beach offers an excellent and wide variety of water sports rentals, along with a restaurant and two bars. Playa San Francisco is another good choice. Best for Privacy: Playa Escondida on the western shore offers few amenities, but that keeps the crowds away from this sanctuary. Another peaceful option is Playa Chen Rio, on the eastern side of the island. Best for a Beach Break: Nachi-Cocom Beach Club, about 10 minutes south of the San Miguel area, offers waters sports, a swimming pool, hot tubs, a bar and a restaurant. You can even get a massage. Visitors can buy all-inclusive passes for $55 each.